From 1 May 2015 through 3 May 2015, the City of Springfield, Illinois, will be the site for a re-enactment of President Abraham Lincoln’s funeral. It’s been one-hundred-fifty years and a few days since President Lincoln was assassinated at Ford’s Theater in Washington, DC, by John Wilkes Booth. BRAVO! COMMON MEN, UNCOMMON VALOR folks know Springfield as the home of Tom Quigley who served with Bravo Company, 1/26, during the Siege of Khe Sanh. Tom is also one of the men in the film. Last June, 2014, Tom and his buddy, PJ Staab of Staab Funeral Homes, arranged for BRAVO! to be screened at the Hoogland Center for the Arts located in Springfield. A number of Marines and Corpsmen from Bravo Company attended the event. PJ is a man who, I believe, wants to help heal the wounds we have on the inside of us, our damaged spirits. He is also one of those individuals who dreams of events or projects and then makes them happen. While we were there in Springfield, he told us about a project he had started in concert with the re-enactment of President Lincoln’s funeral. 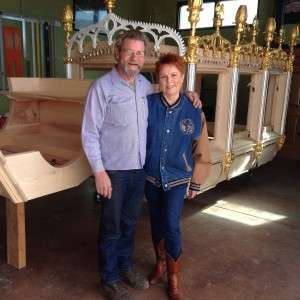 His dream for the re-enactment was to create an exact replica of the hearse that bore Lincoln’s body to his tomb and to have the hearse built by veterans. Lo and behold, here we are in 2015 and sure enough, the hearse has been completed for all intents and purposes. But there’s more to the story. 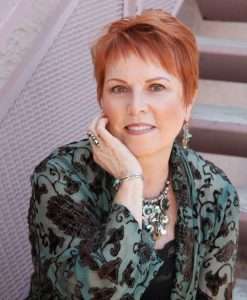 Last February, Betty and I were in Arizona for a screening of BRAVO! and a visit with friends and family. PJ was in California, picking up the partially completed Lincoln Hearse in Eureka in preparation for hauling it to Tombstone, Arizona. He contacted us and said if we were available he’d like us to meet up with him and see the hearse. So we put Susan on the phone with Eric and we all made a date to meet in Tombstone on February 22nd. It was cool and breezy on the way down from Tucson to Tombstone and we met up with PJ there at around 9:00 AM. Susan and Eric visited about Eureka back in the 60s, before Eric went into the Army and then on to Vietnam. We visited with PJ, admired the hearse, and subsequently talked to Eric about his creation. Eric and his students at the Blue Ox Mill School for Veterans, which is a vocational school for combat veterans, built the box for the hearse. Eric told us that when he started, he had no idea what the dimensions of the hearse were until an original railroad bill of lading was found that noted the size of the rear wheels. With those dimensions, Eric and his team of combat veterans-turned mill workers were able to scale the hearse’s precise dimensions using photos taken back at the time of President Lincoln’s burial. From there it was skill, dedication and determination. Eric served with the 101st Airborne Division in Vietnam and saw a lot of combat. The man he delivered the hearse to in Tombstone was Jack Feather who was the hearse’s lead builder and the man who convinced Eric Hollenbeck to work on the hearse in the first place. Jack was also a Vietnam veteran who saw combat during his tour. After PJ headed for the airport and a flight back to Springfield, Betty, Susan Parker and Eric’s wife Viviana sat in Jack’s office and visited while outside Eric, Jack and I recalled our tours in Vietnam. It was an emotional morning for me and I think for them, too. As we talked, a bond that I cannot name developed between us, or maybe it didn’t develop, it may have been there all along just waiting for these days, forty-seven years on, to come to the fore and all made possible by PJ Staab and his drive to honor veterans, veterans’ stories, and to help human hearts heal. 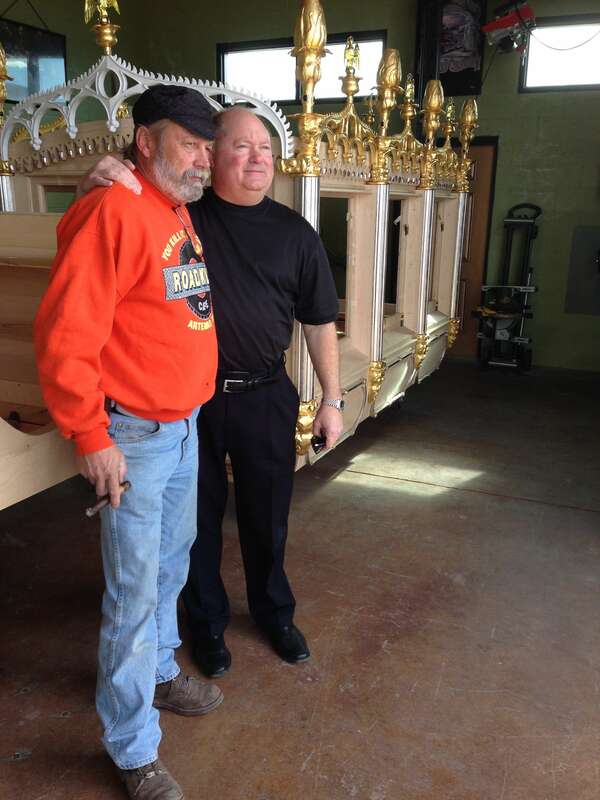 The veterans who helped build the hearse will be flown to Springfield for the May events. You can find out more about the Lincoln burial re-enactment events in Springfield at http://lincolnfuneraltrain.org/2015_event.php. 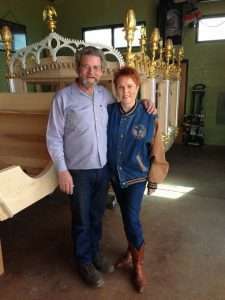 More information about Blue Ox Millworks is at http://www.blueoxmill.com/index.html. Information about PJ Staab can be found at http://www.staabfuneralhomes.com/staff/paul-john-staab-ii/. More information about Jack Feather’s company, Tombstone Hearse and Trike, is available at http://tombstonehearse.info/.